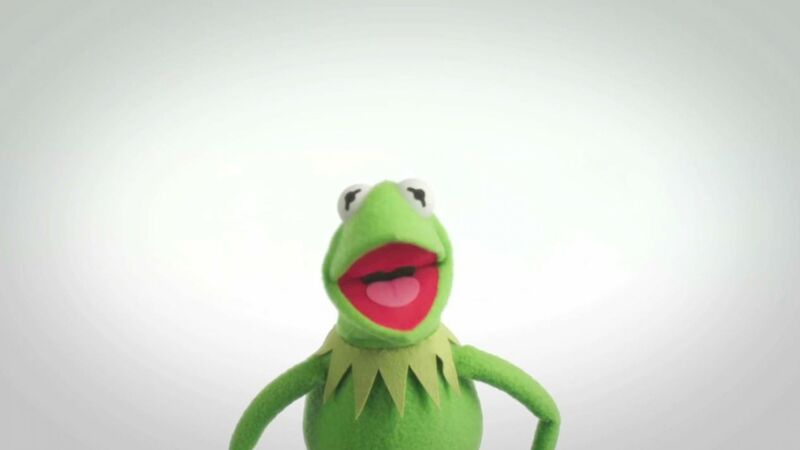 Hiho, it's your friend Kermit the Frog. You know, even when life gets hectic it's important to take a moment to say how much we like each other. Uh, well, actually those seem like pretty trivial ways. So how can we make the word like meaningful again? Well, we Muppets think big. And if we can collect over one bazillion likes in the first ever Muppets fanathon, big things will happen folks. Well, I'm glad you asked. Our new movie The Muppets hits theaters November 23rd. But if we get over a bazillion likes, we'll let you know where you can find some special advance screenings. Is that something you'd like? You know, it's still not easy being green. But with your help, hitting a bazillion we'll be a cinch.